This tender is able to erect the DES with its own main crane on platform beams up to 35m above MSL. Three main lifts only are required to complete the installation. 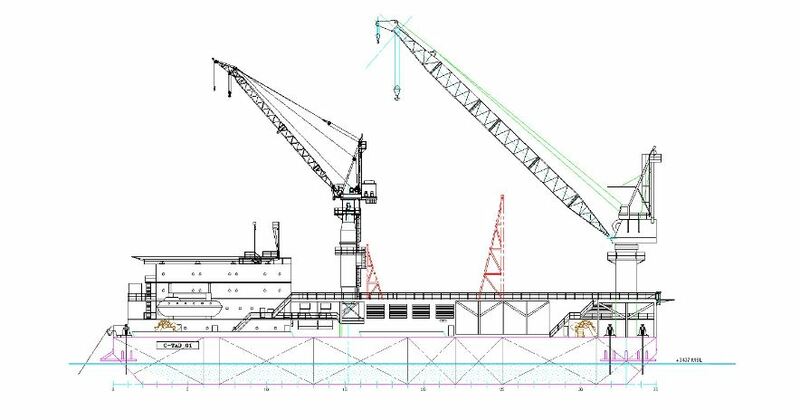 The derrick is supported by the skid beams of the platform deck which is perpendicular to the tender axes. These skids beams can be maximum 52,5ft apart.